I came to a conclusion earlier today on how to take care of my toy kit solution. I’ve decided that any of the kits that I don’t really want to do, I’ll strip out and use the wool towards my scrap blanket. 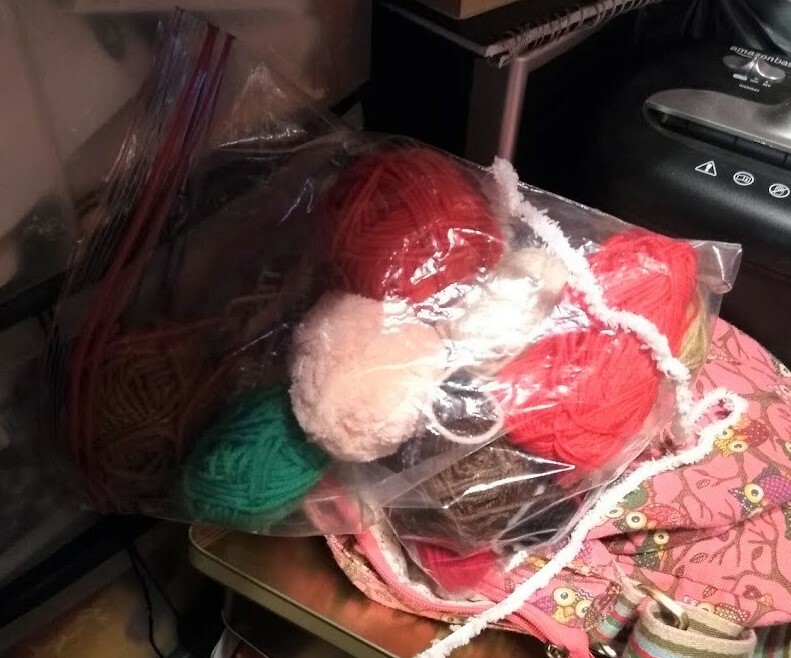 I’ve got a mini-skein of fluffy stuff added on right now, and I tentatively would like to see myself get all the way through that tonight. It’s probably not going to happen ’cause still getting my D3 on, but it’s nice to have goals. The cold persists. I’m into the ear-popping phase of things, which… maybe the end is in sight? I need to see what Z has to say about that, ha ha. I just want to believe that it’s going to be shifted before next weekend, since we’re scheduled to go a-visiting, and I don’t wish to bear the plague thaddaway.